An exquisite second novel from the Newbery Honor author of RULES! 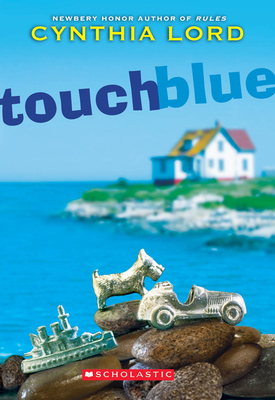 TOUCH BLUE, sure as certain, will touch your heart. The state of Maine plans to shut down her island's schoolhouse, which would force Tess's family to move to the mainland--and Tess to leave the only home she has ever known. Fortunately, the islanders have a plan too: increase the numbers of students by having several families take in foster children. So now Tess and her family are taking a chance on Aaron, a thirteen-year-old trumpet player who has been bounced from home to home. And Tess needs a plan of her own--and all the luck she can muster. Will Tess's wish come true or will her luck run out? Cynthia Lord is the award-winning author of RULES, a Newbery Honor book (among its many distinctions), as well as the critically acclaimed TOUCH BLUE, released August, 2010. She made her picture book debut with HOT ROD HAMSTER. She lives in Maine with her family. Visit her at cynthialord.com.